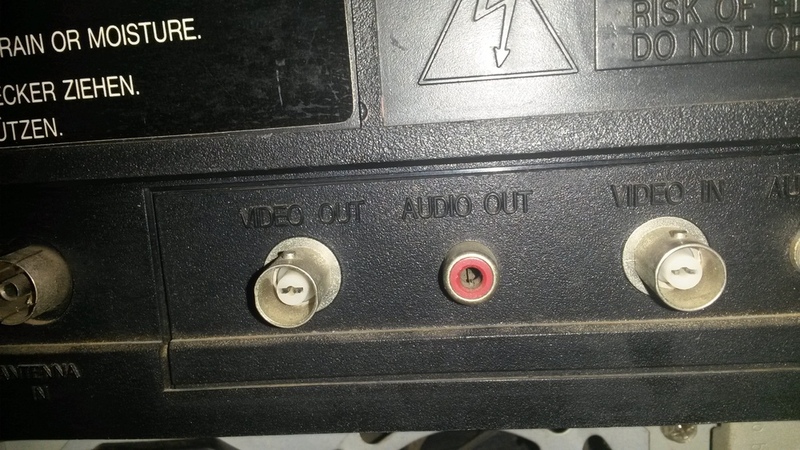 I recently found an old VHS vcr, and would like to know what the connection for the Video IN and OUT is called as shown in the picture. This looks to me like a BNC connector using composite video which was commonly used in 1970-1980. Hello...as per my knowledge the Securnix BNC Male to RCA Female Connector acts as a BNC to RCA Converter. There is a male BNC connection at one end, and a female RCA connection at the other. This can be used to convert the signal of a RCA microphone to BNC. This BNC Male to RCA Female Adapter can also be used to connect different audio video devices. Typically use for CCTV surveillance cameras application.